When Valli announced mocktails it was kismet. It was hot and we were having a lot of liquids. I had not thought of clicking pictures or noting down what we mixed. Most of what we mixed we went on adjusting to suit individual tastes. 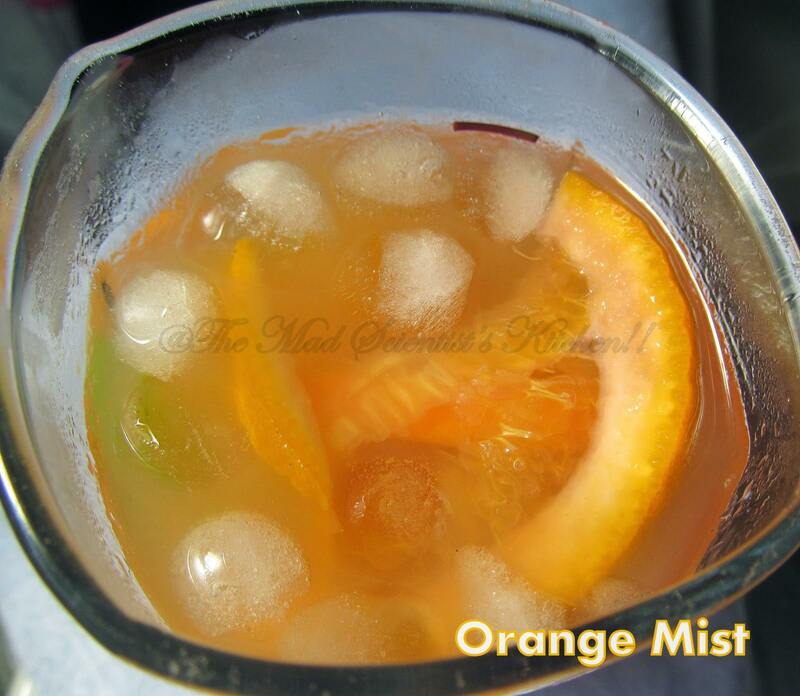 These were what we repeated and enjoyed.To see what a mocktail is, check here. Of course Apeksha, my elder daughter did not drink this as it has mango juice in it. She just used orange juice in hers with some others that she likes. Well,that is for tomorrow for I had them all when comes to food I have very few likes and dislikes! Mix all the ingredients and serve in a glass and serve. Actually I found it easier when I mixed the stuff in a vessel. Added the ice to the glass and poured the juice on top. I was to make thin slices of the oranges and then set them in ice. Forgot all about it. Hi! First time here? Well, then you are Most Welcome! I hope you keep coming back for more here. If you are my regular visitor then Thanks, for you encourage me to experiment more!! I would like you to please click on my link below and like my Facebook Page. I will be happy if you can follow me on on Twitter too! With all the wonderful juices it must be tasty …. This is yet another cool stuff! Mixing orange and mango must work wonders!.. Orange and mango, i want that glass rite now. It happens even to me. I plan of doing certain things and garnish the food in certain way and completely forget about it after I prepare the food. Orange mist looks very nice. Will check out Apeksha's version too. Sprite and lemon turn any drink into a refreshing drink. Nice cooler.